WASHINGTON (CNS) — Agencies and organizations that help refugees start new lives in the U.S. worry about the fate that awaits migrants in transit as well as those who will not be allowed into the country as the partial ban that the U.S. Supreme Court set in motion with its late June ruling goes into effect in early July. The Supreme Court announced June 26 it would temporarily allow the Trump administration’s plan to ban of refugees from six majority-Muslim countries, unless those refugees had “bona fide” relationships with parties in the United States, meaning certain family members, employees or universities. In an executive order that underwent one revision and was blocked by lower courts, the administration has said it needs the time to review the refugee resettlement program and its vetting procedures for allowing refugees into the country, and also said it was necessary to limit the number of the refugees allowed into the U.S. to 50,000 for 2017. That number is expected to be reached July 6 in the evening. But heartbreak and uncertainty is exactly what many of them, as well as the resettlement agencies and communities that already have a connection to the refugees may face, say officials from agencies pleading with the administration to involve them in the developments that are about to unfold. “We urge the administration to issue more clarity on its interpretation of the executive order and the decision and work with the resettlement agencies to ensure as smooth and humane implementation as possible at this time,” said Feasley. On June 30, representatives from Refugee Council USA, which included some faith groups that resettle refugees, cried out for involvement in the process. 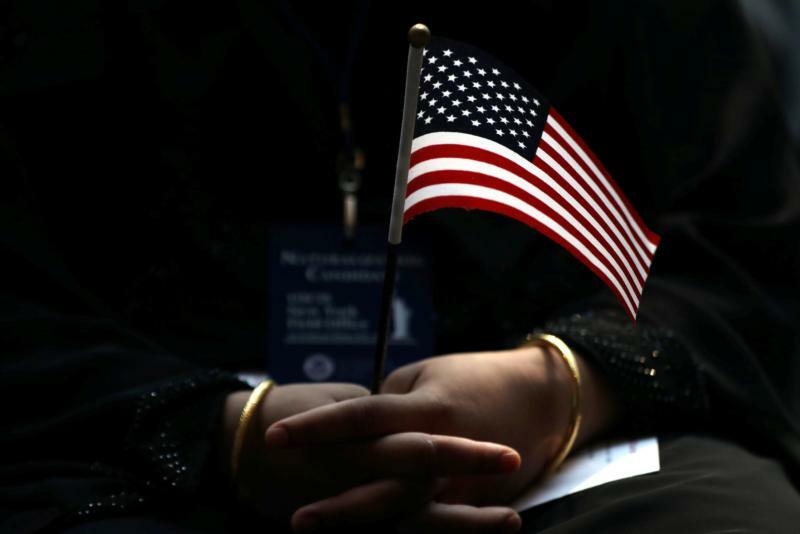 Hans Van de Weerd, chairman of the Washington-based Refugee Council USA, said in a telephone briefing that targeting “vulnerable” populations, such as refugees, was “morally wrong” and it also was bad policy. Some criticized the high court as well, which said it would review the constitutionality of the executive order in October. During the refugee council briefing, officials from refugee resettlement agencies said the court’s decision to allow a partial ban to be put in place amounts to slamming the door on the face of the vulnerable “for no good reason.” Though the partial ban will keep some refugees out, the court said that those with “bona fide” relationships in the U.S. could still enter, even if the 50,000 cap had been reached. In a statement, Jesuit Refugee Service USA, said the administration, with its actions, was preventing the reunification of family, particularly the special relationship of grandparents and grandchildren, which along with aunts, uncles, nephews, nieces, nephews, cousins and some in-laws, the State Department said does not count as being close enough to qualify as a “bona fide” familial relationships. “As a result, many refugees, including the elderly, unaccompanied children, and those in need of medical treatment will be delayed in receiving U.S. protection for at least several additional months,” said the organization in the statement. Some like Jordan Denari Duffner, of Georgetown University’s Bridge Initiative research project that provides information about Islamophobia, said the danger of the ban extends beyond preventing people from entering the country. It’s also caused damage within the U.S. because it’s an extension of what the president promised when, during his campaign, he called for a “Muslim ban,” and promotes views seeking to paint Muslims as dangerous. “Even if the travel ban seems more watered down today, it’s been the product of an administration that has played off of and promoted Islamophobia,” she said.